How should services be priced? This article outlines five steps towards a service logic driven by changes in IP and deregulation of major economic activities. Article was published in Geneva Papers on Risk and Insurance in 2002 and can be found at Geneva Associations. Several fundamental issues were discussed during a one-day trans-atlantic workshop in Brussels on March 3, 2016, with representatives from top patent licensing firms in the world and EU as well as US policy makers. The aim was to identify current and emerging issues in the patent market that could merit further research efforts funded by agencies – and firms – promoting innovation. 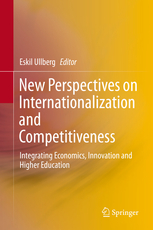 – Key topics were (i) incentives to take on the high risks in inventions – mechanisms to manage them -, (ii) basic awareness and knowledge building among politicians, SMEs, academia and general public on the value of inventions and the relation of the patent system as well as (iii) a continued professional dialogue at practitioner and policy level. As one participant commented: “Inventions are important, but we are beginning to loose the [policy] battle”. 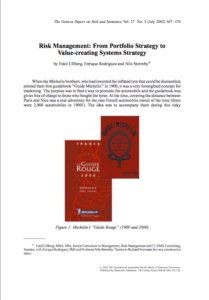 – Most importantly the general awareness problem on mechanismsencouraging risk taking, the value of inventions and the patent system merited topics for further investigation and policy discussion. – Markets in patent (transactions not only protection four) would be such an area that would help firms manage their risks better by providing a broader and deeper market access for patented technologies. A summary report is included with some tentative conclusion and focus for further investigation. A follow-up transatlantic workshop is planned, focusing on SME-exchange in patents (with large firms and other SMEs). This workshop is tentatively planned to be in the USA. A transatlantic workshop has been organised together with the European Commission with global corporate practitioners, policymakers from EC/SME & GROWTH and the US Trade Commission, European and other Patent Offices, and selected experts in the field of patenting, licensing among others, to identify and prioritize issues towards a market in patents. Special focus will also be given to SME/individual firms and new markets, especially North-South and emerging markets. The results of the workshop will be considered as input for further studies and policy proposals in this area. The workshop will be held in Brussels on March 3, 2016. If you are interested in the follow-up information from this event, please contact by email or sign up for the ullberg report. There may also be the opportunity to listen in on a webcast for select interested parties. The international trade flows have changed direction in the last few years, where the South is now the net buyer of the products and services from the North. This has happened thanks to opening of markets, trade negotiations, better economic policies, etc. However, when it comes to technology exchange with patents, the markets are not that developed. An intense focus on enforcement has dominated the discussions, in a one-sided protection agenda, more than trade, creating a litigation market with courts clearing prices. This appears to be similar at national levels between firms, especially large versus SME/individual or rent seeking firms abusing the patent system, hindering efficient trade in ideas between firms. To remedy this deficiency we are organizing a workshop focusing on transactions, in particular the mechanisms for exchange in patented technology. This is not only beneficial for today’s larger firms already engaged in this market but SME/individuals and the new markets, especially the mentioned North-South exchange and emerging markets. Experimental research on markets in patents indicate that a more impersonal, or open, market in patents with demand side bidding and trading intermediaries may double the use of patented technology in the economy compared to today, i.e. a development in economic efficiency. The workshop may therefore bring forth valuable input on issues – and priorities – from practitioners, patent offices and EU and US policy makers, on how to facilitate such an open market in patents, aiming at creating a strategic transatlantic initiative to inform policy. Ref. to Michael Spence in 2010/2011. In GDP terms emerging markets and the developing world are slightly more than 50% of world GDP. GDP growth rate Q3 2015 of emerging markets 4.2% (with China at 6.2%) and developing world 1.6%, indicating that this trend will continue for years if not decades or a century given a population of 6b today compared to 1b of the North. Source: JP Morgan. 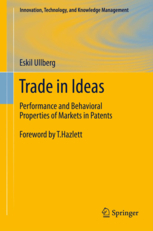 See Ullberg, Trade in Ideas (2012) : Chapter 3 (performance and behavioral properties of patent market institutions), 4 (coordination between specialized firms through markets with prices as signaling of technology investments) and 6 (policy conclusions and proposals). This conference is a part of the Hoover IP2 Working Group, working to review the premises of the US patent system and to address questions of scope, specification, duration, and economic impact of that system. The working group two very fundamental questions: Does the US patent system hold up or push forward the commercialization of technological innovations? and Does the US patent system frustrate or facilitate the inventive acivities and entrepreneurial processes central to economic growth? 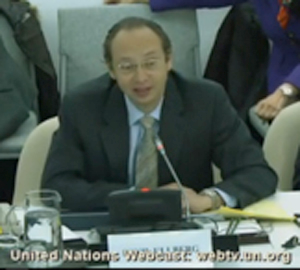 During the conference held Monday–Tuesday, January 11–12, 2016 as services working papers were presented and discussed. I had the great honor to present a paper on the fundamental issue of trust and patents markets entitled: “The Language of Trust and Reciprocity in Patent Markets: A Sociological Analysis of Property Rights on Messages Resolving Uncertainty in Exchange in Ideas”. Affiliation with George Mason University and the Interdisciplinary Center for Economic Science since 2010. 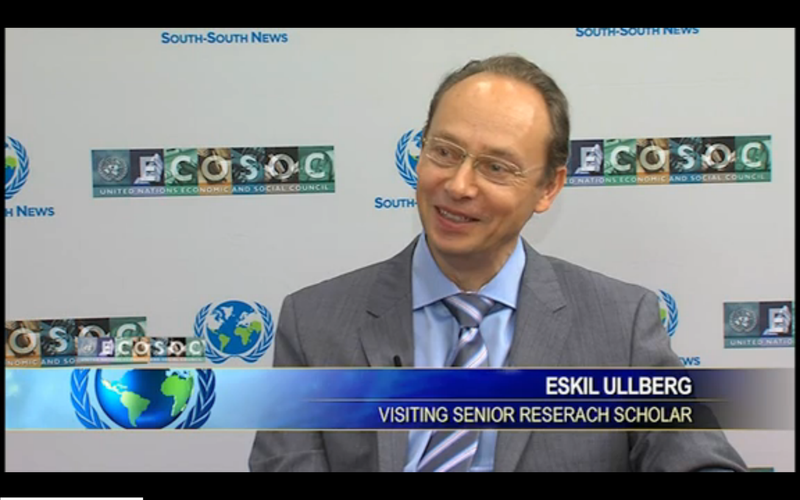 Visiting Senior Research Scholar 2010-2014. Assistant Professor 2011-2014, Adjunct Professor from 2015 to today.